GNI is pleased to welcome the Kampala-based Collaboration on International ICT Policy for East and Southern Africa (CIPESA) as the newest member of the civil society constituency. CIPESA works to inform policymakers and other stakeholders across the African continent about the connection between rights-based ICT policies and good governance and improved livelihoods. GNI’s work to advance Internet freedom and privacy in Africa will benefit from CIPESA’s policy and legal expertise and convening power. CIPESA serves as coordinator for the regional ICT4Democracy in East Africa Network and hosts of the Forum on Internet Freedom in Africa (FIFAfrica). Some highlights of CIPESA’s work include an intensive regional training on ICT policy research for different stakeholders, annual reporting on the trends affecting Internet freedom across Africa, and analyses or commentary on corporate transparency and laws and policies on the ground in a number of countries, including Burundi, Rwanda, South Africa, and Tanzania, and their work has received wide coverage. CIPESA’s membership marks a period of notable expansion for GNI’s civil society constituency in the Global South. For more information about CIPESA, visit their website: CIPESA.org.  Learn more about GNI’s multi-stakeholder membership here.